Students in a classroom engaging in group work. Photo courtesy of google. Outside of dealing with financial aid, classes more than an hour and a half long, and bad cafeteria food, group work is one of the most dreadful things a college student has to deal with. Group work is very complex and has a lot of parts that coincide within it. One of the first things that come with group work is who is going to be in your group. The individuals that make up your group are extremely important. That sets the tone if how well your group will perform when it comes to the actual work that needs to be done. 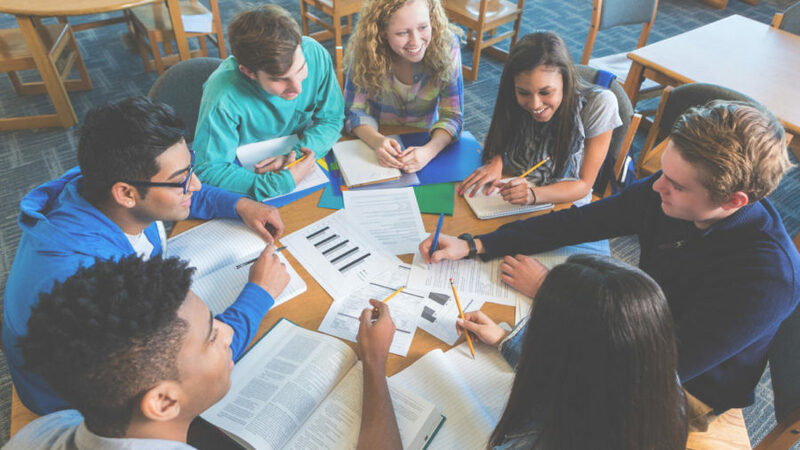 More often than not, a group consists of students who are familiar with each other or are in a close vicinity of each other in the class room. People very rarely want to work with strangers. Once the group is assembled, the next part is dishing out responsibilities, such as who has what job? In order for that to happen, someone has to take charge and present themselves as the leader of the group. It’s dangerous to do that because now you as the leader are responsible for making sure everything in the group runs smoothly and everyone knows what they are doing. Now everyone is looking to you, and if you planned on “just chilling” that idea is now out the window. Responsibilities in the group are huge as well because people don’t like being told what to do but in this instance students are waiting to get instruction so they can do their part and be done. Then you have the leeches in the group, those who just come for attendance and do the bare minimum if anything at all. They are just hoping to get by and put their name on the project. This presents itself a lot in group papers and presentations. Leeches force others in the group to double up on work and nobody wants to do more than they have to. Group work also requires meeting times. That means no matter where you may be a time and location have to be set that is convenient for everyone in the group. It could be time where you want to relax and then have to dedicate that to meeting and working on the project. When work is done by yourself you are able to operate on your own schedule and not have to worry about the contributions of other people. It’s always a drag when it comes to group work and takes a lot of effort and time for it to be executed at a high level. It’s just another aspect of college that has to be finessed.